We caught up with Gloriose Uwayezu, a rural youth empowerment program participant, for an update on her brickmaking business three years after its launch. After receiving entrepreneurship training, Gloriose launched a thriving brickmaking business — employing 20 community members. At the beginning of 2014, Gloriose Uwayezu was one of roughly 140 million unemployed youths in Africa. At the end of 2014, she was the owner of a successful small business. 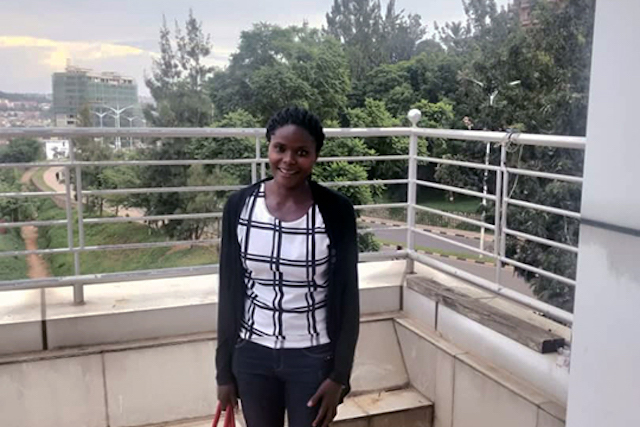 The difference came from the entrepreneurship training she received in the interim: a TechnoServe project supported by the MasterCard Foundation called STRYDE, which empowers rural youth to identify and take advantage of business opportunities in their communities. Applying market assessment skills learned from STRYDE, Gloriose noticed significant new construction in her area and decided to start a brickmaking enterprise. It was an unusual occupation for a woman, but her business quickly thrived—and in just one year, she was generating significant revenue and employing 20 people. We first featured Gloriose on TechnoServe’s blog in 2015, a year after she launched her business. Now, as Gloriose’s story hits the podcasting world, we decided to check back with her for more information on her life and her business, over three years after the original blog post. How is your business doing now? What has changed for you in the last three years? How are you using your money from your business? How are you continuing to apply what you learned from TechnoServe? How has your success affected other people?